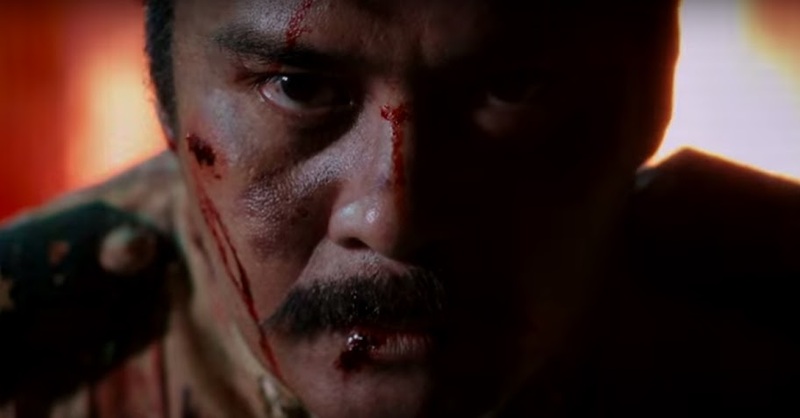 Image captured from Heneral Luna official trailer on YouTube. I finally got to watch the much talked about Jerrold Tarog film “Heneral Luna.” Those who have not seen the movie yet, it is definitely worth the bother. It is a hundred-fold better than your stereotypically formulaic Filipino movie; albeit I do not personally think it will be capable of winning an Oscar for Best Foreign Language Film. Heneral Luna is nonetheless far from being your cliché-ic historical fiction. It has elements of drama, action and gore to elicit powerful emotions; but lightens these up with whimsical irreverence at times to draw laughter. Above all, it delivers a powerful message. That the Filipino’s greatest enemy is himself holds true more than a century after the war during which the movie is set touches a raw nerve in the contemporary Filipino. I have no desire to turn this into a full movie review; so at this point, I turn everyone’s attention to Epy Quizon and his portrayal of Apolinario Mabini in the movie. Quizon gave a strong enough performance in the movie but he also looked a tad too mestizo on screen. I would have preferred a Malay-looking actor if just to be true to the images of Mabini that we all gawked at in our high school history books. But outside of the film, social media went gaga over a post that Quizon was supposed to have made about some college students asking him why he was seated for the duration of the movie. If I was as historically challenged as those alleged college students and did not know that Mabini had lost use of his legs due to polio, I would not have noticed anything remarkable about Quizon being seated all the time. First of all, Quizon’s character was arguably peripheral to the story; and second, I do not recall any scenes that made Quizon being seated seem out of place. In hindsight, perhaps a scene or two showing him being carried on a hammock would have been so much more useful to the historically challenged. At any rate, all the attention that Quizon’s post received must have given the movie a new lease on life as it was close to being pulled off movie houses around the country but has since passed the PHP 100 million mark. There was a whiff of hypocrisy to the way social media feasted on the alleged college students who raised the question about Mabini being seated. If indeed this happened, then yes, the students probably deserved the ridicule. On the other hand, I taught History for nineteen years and I am the one not surprised. History is just not for everybody; and particularly so in the modern day when careers are built on a student’s strength in Mathematics, Science and English. History is the cumbersome subject that by its nature requires plenty of reading and memorisation, things that are often beyond all but the most diligent of students. Convincing students of its relevance to the present is any History teacher’s most challenging task. Thus, History is often relegated to the status of a subject one has to take because it is a course requirement; unless, of course, one is dead set on pursuing a degree in the social sciences. At least in the school where I used to teach, career preferences were often in favour of those in the Sciences rather than the Liberal Arts, of which History is a part. What this creates is a ‘History lang’ mentality. Many History teachers will probably agree with me what a royal pain it is to have to explain to parents why their children failed in the subject; and precisely so because of this mentality even among parents. I end with a word to those who feasted on the memes and other posts that ridiculed the alleged students who asked why Mabini was seated for the duration of the film Heneral Luna: I hope you did not snore through your History subjects while in school. History is innately rich and wonderful to explore; but probably not because one has to pass a three-unit course but more because it gives everyone a crystal clear picture of who one really is. The present, after all, is what History creates. Heneral Luna, the film, cannot be more explicit about this. More than a century later, we are still a bickering disunited people; and if the film touches a nerve, it is because it tells all of us the obvious: we, the Filipino people, need to get our act together.